Handling absenteeism effectively requires a strong, well-thought-out approach. Taking time away from work is good for the health and morale of employees. When they can rest during an illness, recuperate after an injury, or tend to affairs in their personal lives, they’re better able to focus at work and engage in the tasks at hand. Too many absences, however, can be costly for employers and frustrating for other employees who have to pick up the slack. A lot of absences may be sign of absenteeism, which occurs when employees skip work for no good reason. You may not be able to prevent the illnesses, injuries, or family emergencies that keep employees from coming to work, but you can and should do something about absenteeism. Fortunately, there are a few steps you can take. In this article we give you 4 ways to reduce absenteeism in the workplace. The first step to reduce absenteeism is to make sure you have a clear attendance policy. This policy should state your expectations for attendance and the procedures for time-off requests—as well as the possible consequences for employees who violate the policy. Having and following a clearly written attendance policy makes it easier to hold people accountable to it. In short, your policies need to be clear on what is and what isn’t acceptable. For example, how early does an employee have to call in? Are they expected to call and get someone else to cover her shift? In general, a company should have a general call out process and apply that consistently across the workforce. This would include the method of communication (email, text, ensure you get a live person on the phone, etc.) as well as how far in advance an employee must provide notice. The second step is to make sure you’re following all applicable leave laws. If your company is subject to the Family and Medical Leave Act, for example, you may be required to provide job-protected leave to an employee who needs a leave of absence to seek care for themselves or a family member. 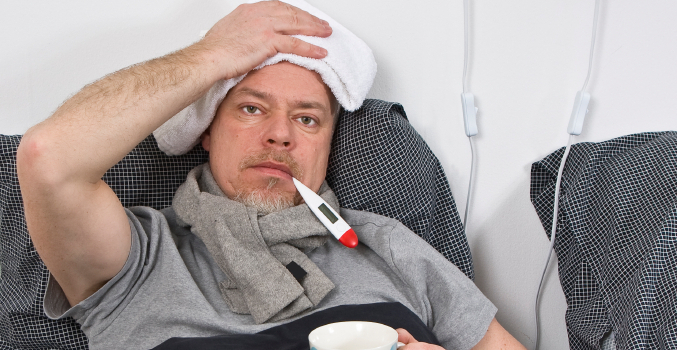 A number of states and municipals have sick leave laws that may guarantee employees a certain number of sick days per year. Make sure you give employees the option to take all the time off to which they’re legally entitled. You can certainly give employees more time off than what the law requires, and allowing for more expected absences may help reduce the number of unexpected ones. Just make sure you offer this leave in a non-discriminatory manner, consistent with your policy. The third step, use discipline for policy violations. If an employee has been missing work without a legitimate reason and in violation of your policy, you should discipline them. Depending on the severity of the absenteeism, you might start with an oral or written warning and then move up from there. Reoccurring absenteeism could be grounds for termination if you’ve given the employee fair warning and they haven’t improved. The fourth step to reducing absenteeism is to create a workplace where people want to be. If absenteeism is widespread or higher than you find acceptable, assess the management styles and employee interactions in your workplace. Are people generally happy? Do they get along? Are there any issues of concern, such as bullying? Do employees have opportunities to get to know one another and form collaborative and supportive relationships? Do they feel supported and valued by management? You can stop attendance problems before they start by building a workplace where people are inspired to work hard, do well, and celebrate success. Previous PostPrevious How Does Progressive Discipline Benefit The Company and Employees?